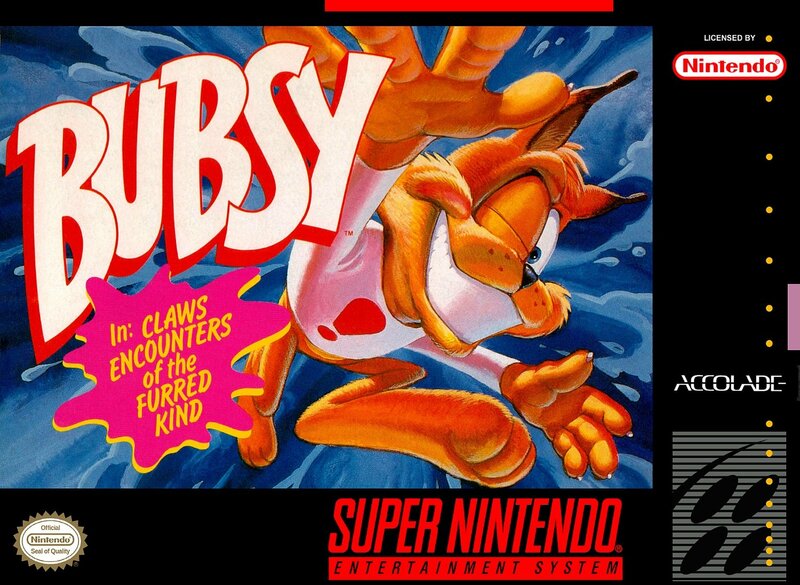 Bubsy in: Claws Encounters of the Furred Kind for Super Nintendo allows you to play as Bubsy the Bobcat in his efforts to stop the Woolies for stealing the Earth's supply of yarnballs. With five worlds and over 16 levels, run, jump and stomp battling enemies of all kinds. Bubsy also features seven music tracks to make the game even more satisfying to the ear.